Monthly Tea Tastings usually occur the 2nd Wednesday of the month from 6 – 7:30pm. Cost is $10/per person and includes the tasting and a sampling of our tea sandwiches. We hold two types of tastings: Tea 101 and Focused. 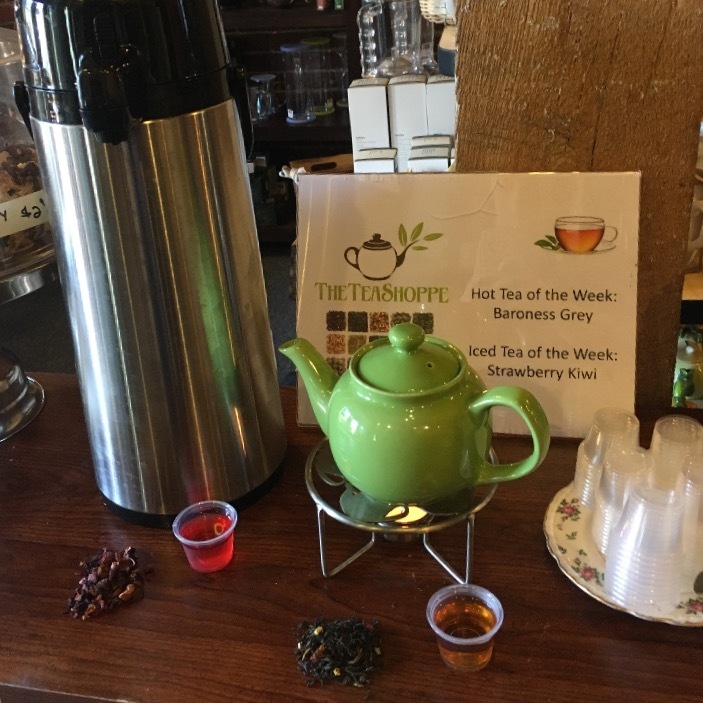 In this tasting you will have the opportunity to try the 5 types of true tea (white, green, oolong, black, and pu-erh) as well as a Rooibos (red tea) and an herbal. We will discuss where the tea comes from, where and how it is grown, how it is processed, how to properly brew it, the health benefits, and more. 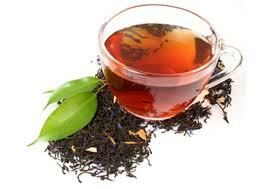 In this tasting we focus on a specific type of tea such as green, black, herbal, or white/oolong, etc. from different regions around the world. Reservations requested-however, we do welcome walk-ins. Almost every month we hold an event specifically for children, such as a Princess tea, Frozen tea, Alice in Wonderland, American Girl Doll, Tea with Mrs. Claus, etc. These events feature games, crafts, and a visit from a professional character actor. Reservations and pre-payment is required for all children’s events. 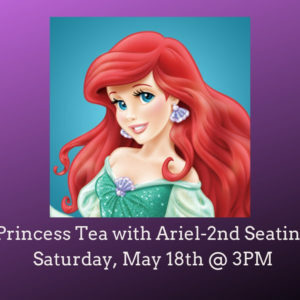 Upcoming Events: Princess Tea with Ariel 5/18 @ 3PM and 5/19 @ 11AM (SOLD OUT). Several times a year we hold events specifically for adults, such as a Witches & Warlocks, Harry Potter, Stranger Things, Downton Abbey, etc. These events feature a couple of activities and in some cases a visit from a professional character actor. Reservations and pre-payment is required for all adult events. (Note: Adult events are suitable for 16 and older). 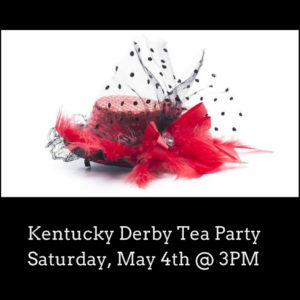 Upcoming Events: Kentucky Derby Tea Party 5/4 @ 3PM. All event tickets are non-refundable. Be sure to click on the correct date and time. If additional dates are offered for an event after you have already registered, we cannot transfer tickets between dates. For children’s teas be sure to identify how many adults and children will be attending. ALL children must be accompanied by an adult. ALL attendees, children and adults, must register (and pay) for the event. Due to limited space, we do not allow non-paying observers, family members, or other non participants in the dining room during the event. Note: If you wish to be seated as a group, please either book all together or when you pay enter the party you wish to sit with in the Order Comment section. Seating changes will not be possible the day of an event.